Farming Simulator 19 is without a doubt the best-selling franchise games out there. With its recent impressive overhaul of its graphics engine, the simulator now boasts very immersive effects and visuals that leave you with deep and complete farming experience. 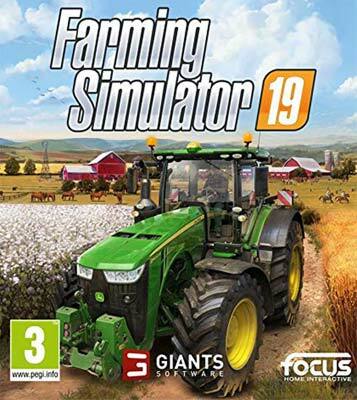 If you love farm life, you will like Farming Simulator 19’s extensive vehicle roster that gives you control over your machines and vehicles which have been faithfully recreated from top brands like John Deere. With European and American environments, you get to expand and further develop your farm while introducing new crops (oats and cotton) and machinery. You also get to tend to your sheep, pigs, chicken, cows, and for the first time, horse. You can ride the horses too. And working with 15 other players, you can enrich and enhance your farming experience.